A powerful storm has hit Kissamos and Crete in the last two days, with winds up to 8 Beaufort along the North and West coast. Copious rains caused landslides and floods, and the strong North winds uprooted trees and generated big waves. On Thursday afternoon, the road to Elos was closed between Topolia and Mylos. Also the roads between Sfinari and Kambos and between Sassalo and Aligos were closed. 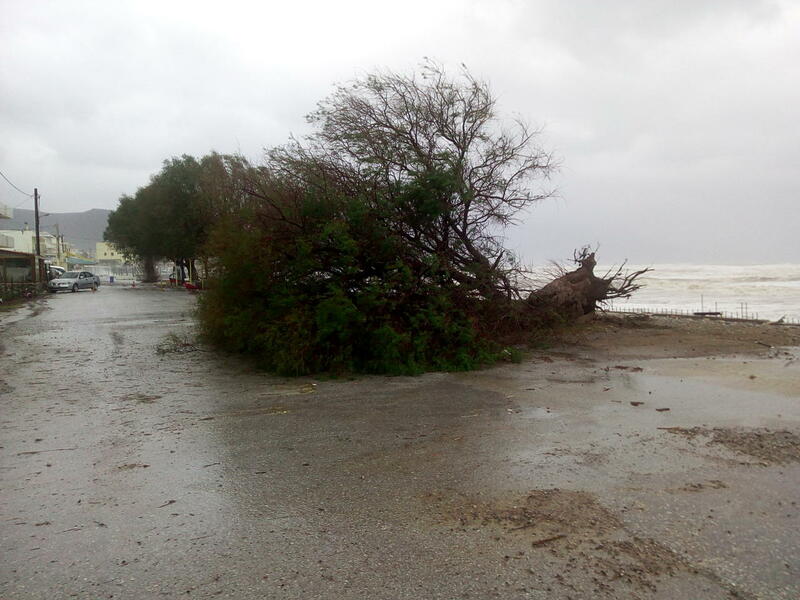 All schools in Kissamos were closed on Thursday and Friday. There were general disruptions also to the electricity system and power cuts on Friday morning. More heavy rain is expected for Saturday, but the weather is forecast to improve from Sunday, with no more rain and lower winds.